No automaker is the king of vaporware sports cars like the Volkswagen Group. 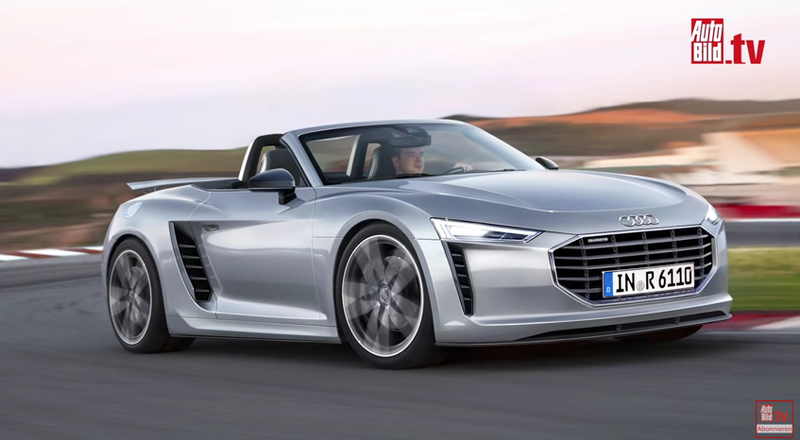 Rumored concepts like a sub-Boxster Porsche, a Volkswagen Bluesport Roadster or an exotic to slot below the Audi R8 never seem to come to fruition. But a German magazine seems confident an Audi R6, based on the Boxster and Cayman, is really happening. Here’s the story in German from Autobild, which was published earlier this month but has just started making the rounds on the English-language car web. Their speculative render in the video above says this R6 would slot between the TT and the R8. They also claim it has a code name at Audi already: PO455. “But wait, PG!” you’re likely saying right now. “The global sports car market is quickly dwindling thanks to all those damned contemptible SUVs. Why would the VW Group venture into that minefield?” Well, Autobild claims that’s exactly why they’d do it—to help spread the costs around for the new 718 platform. A coupe and a roadster would both be in the cards. Take this one with a big grain of salt though, or several, because as desirable as this sports car would be it’s hard to imagine the increasingly cash-strapped VW Group going for it over yet another crossover. We’ll see what happens here, but I’m sure it’d make the Audi faithful very happy if it indeed came to fruition.